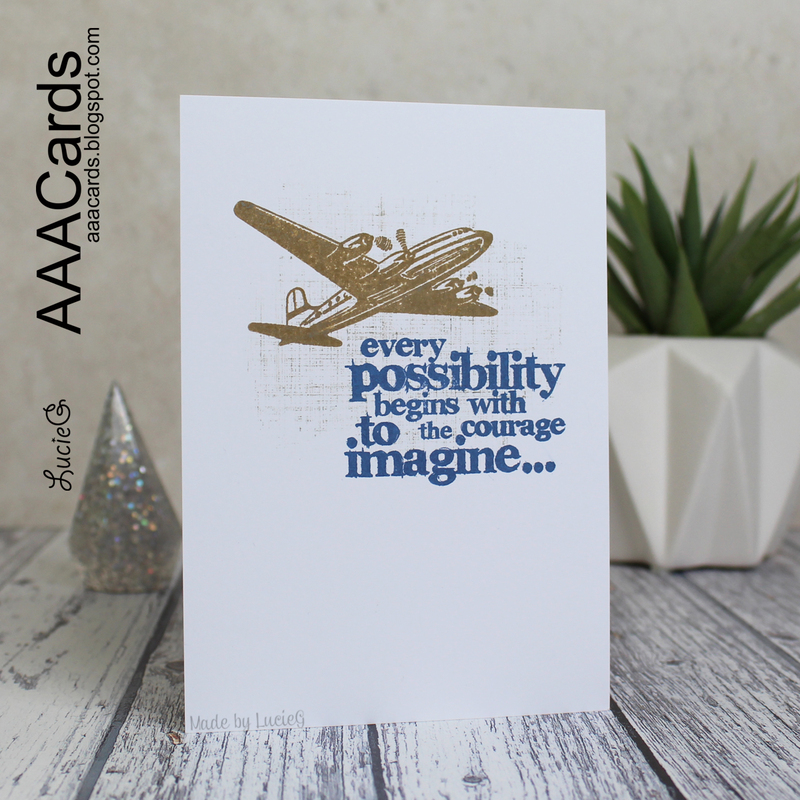 It’s time for a new challenge over at AAA Cards and this fortnight we have a word to inspire your CAS creations – ‘imagine’. Winnie & Walter is our sponsor. I decided to use a quote as the starting point for my male encouragement card. I knew I wanted to create a simple one layer card so I started with a background stamp to ‘ground’ my quote and image. Before stamping the background, I used a paper towel to remove some ink so that the pattern would be subtle. I spent a little while choosing the image… I toyed with spaceships and hot air balloons but in the end I chose a vintage plane. All stamps are by Tim Holtz/Stampers Anonymous and I used regular distress ink and distress oxide. My teammates have shared some gorgeous CAS cards on the AAA Cards blog and we are also joined by the super talented Izzy from Izzy Scrap as our Guest Designer. She has some beautiful creations – you must pay her a visit! Love that quote and the whole vintage feel to your card. Great tip about removing colour with a paper towel too. Such a great CAS card, Lucie! Just two ink colours and one focal element, I love it. WOW ! A beautiful CAS masculine card, Lucie ! This quote is fabulous and I love how you illustrated it with the plane and the very soft background. What a great tip ! Thank you so much for having me as GD for this challenge and for your lovely words ! Have a fabulous week.